Nothing beats the security and convenience of custom keyed padlocks in your facility. Having these padlocks and the appropriate keys ensures that each person will have access to areas and equipment they have clearance for. 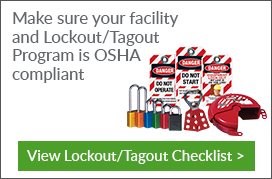 Be sure to carefully choose the proper padlock for your facility to ensure long life and component integrity. So grab a few padlocks today from Seton and enjoy the security and convenience it offers your and your company. When choosing custom keyed padlocks, an important thing to consider is how it looks. This is to ensure that the lock is easily identifiable from other padlocks used for other purposes (such as locking toolboxes, gates, etc). Bright colors are thus common among lockout padlocks. Another distinguishing feature is the inclusion of a Danger label, as well as employee identification. Another consideration regards the keys. It is advised that employees are provided with unique keys which no other key can open. While a single worker may have access to several padlocks, all keyed alike for convenience, no employee should have access to another worker’s safety padlocks.